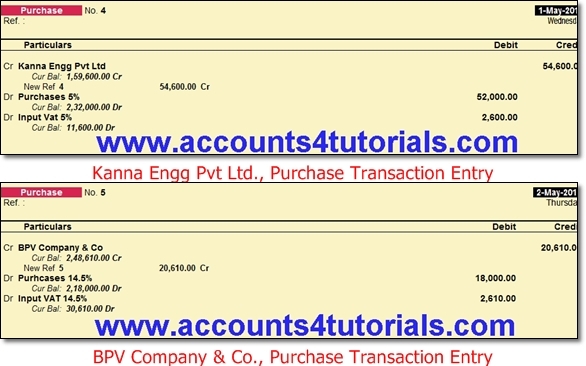 XYZ Company purchased material from M/s.Kanna Engg Pvt Ltd., for Rs.54,600 (Basic Value: Rs.52,000 + 5% VAT: Rs.2,600) on 01.05.2013. 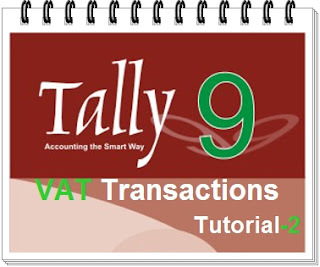 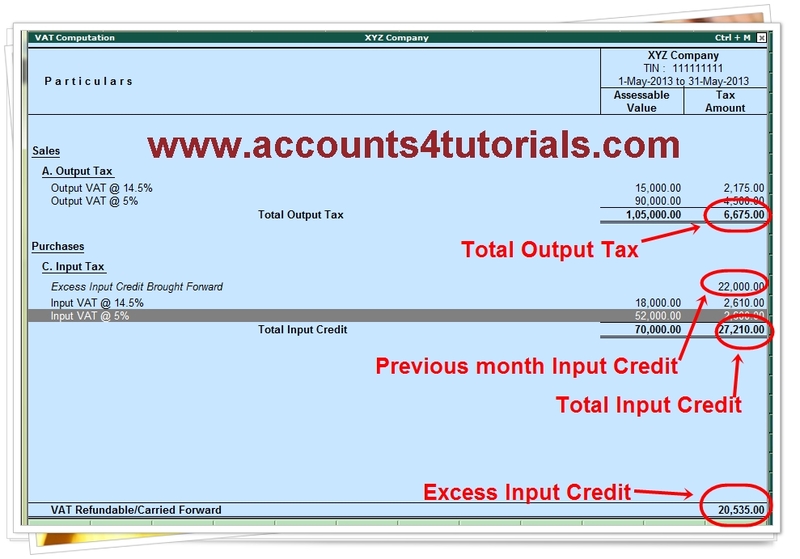 Gateway of Tally -> Display -> StatutOry Reports -> VAT-> VAT Computation. 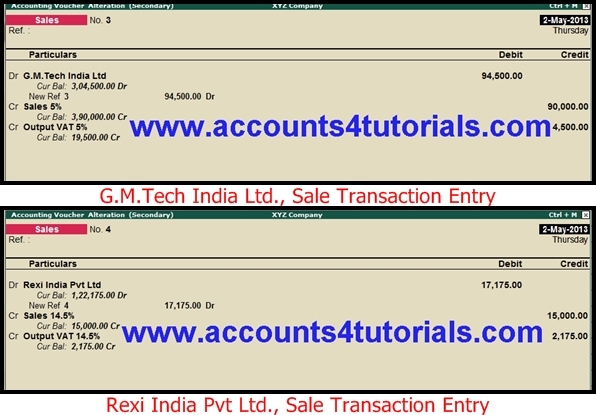 Press Alt+F2-> Change Date From 01.05.2013 To 31.05.2013. This amount you can adjust in CST Returns or Carried forward to next month.